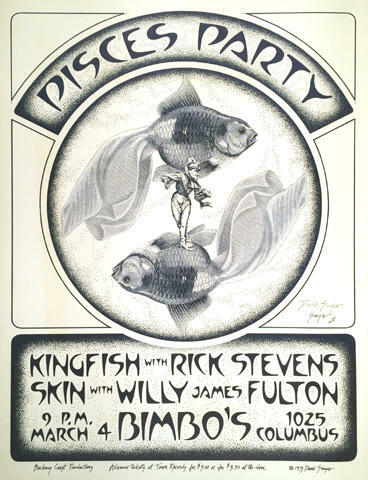 During his Fillmore era, from 1969-1971, Singer created more posters for Graham than any other artist. Singer's posters are notable for his use of collage, incorporating thousands of images clipped from magazines spanning several decades. He developed a format that included a stunning variety of lettering styles, applying them in close relation to the theme or subject of a poster.